Classic Greystone 2-flat in Blaine School District - 3 bedroom unit on 2nd floor, separate utilities, 2nd floor with central air, thermal windows, hardwood floors, dishwashers, additional income from garden 1-bedroom and garage. Could be great duplex owners unit or AirBnB property. Southport Corridor on one side and new and improved Wrigleyville on the other. So many great shops, restaurants and amenities at your door step. Directions Just south of Clark/Grace/Racine intersection. 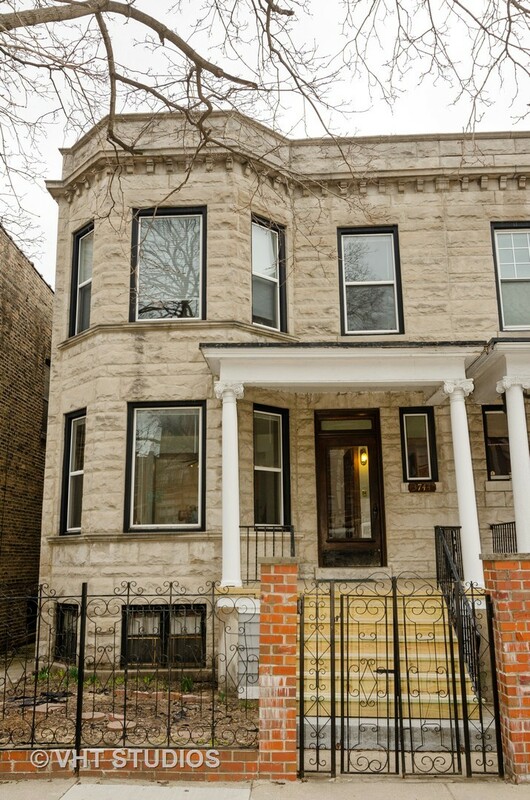 Property information last modified by seller on Sunday, April 14, 2019, 12:05 AM CDT. Information Deemed Reliable But Not Guaranteed. Unauthorized duplication, use, or linkage is prohibited. The information on this web site is for personal, non-commercial use and may not be used for any purpose other than to identify prospective properties consumers may be interested in purchasing. Monthly Payment Calculator results are for illustrative purposes only, not a financing opportunity; calculations assume a 30-year fixed-rate mortgage and do not include closing and other costs. Property Tax on NEW properties is estimated at 1.5% of Listing Price for payment calculation purposes; actual value may be higher or lower.